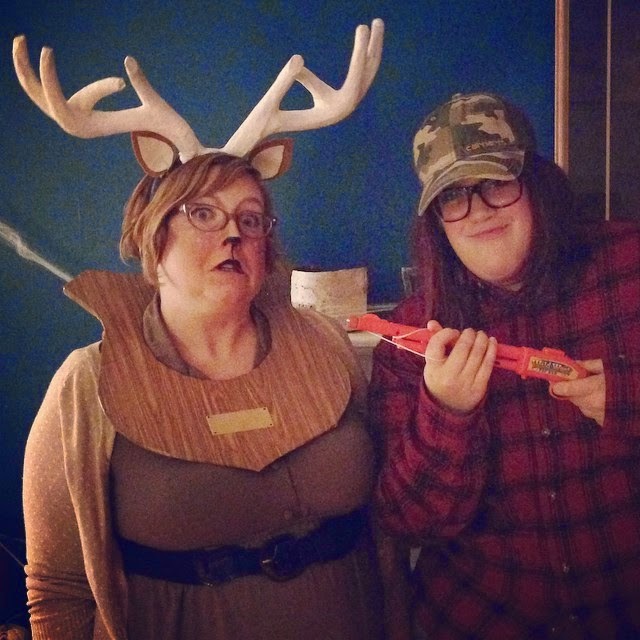 New Wave Domesticity: Awesome Last Minute Costume Tutorial : Taxidermy Deer! 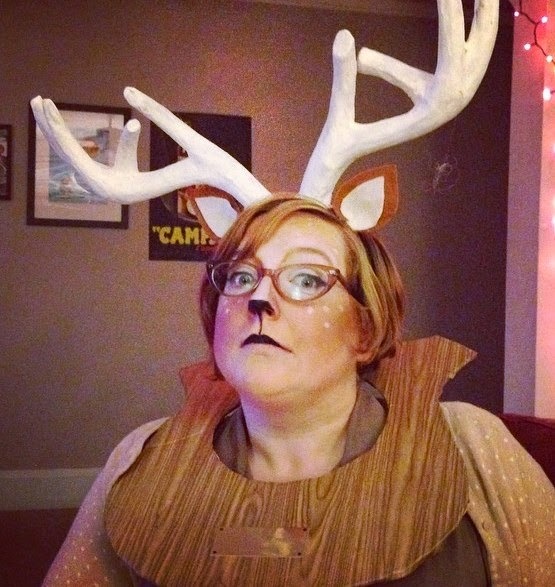 Awesome Last Minute Costume Tutorial : Taxidermy Deer! I always struggle with Halloween costumes every year - I have big dreams of doing something awesome and "ooooh" and "aaahhh" worthy, but really when it comes down to it I don't really find the time to put a lot of time an effort into making something I will wear for one night. Same goes with money...I just can't fork over massive amounts of money for a one nighter. 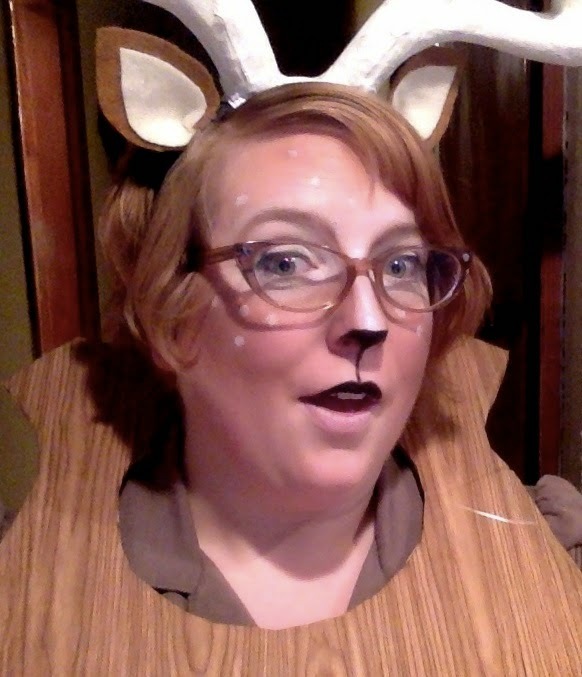 I am a taxidermy deer head! This costume is one of my favorites because it was cheap and easy to make and I feel comfortable and pretty in it without having to be slutty. The antlers and ears are just a basic headband. I picked up this paper mache deer head from the craft store and painted it an off white color. Then I just cut the antlers off and glued them to the headband. It is a lot of weight, so I then used some white duct tape to offer a little more support and keep them attached and in place. The ears are simple to make : just cut two tear drop shapes out of felt - darker felt being a little larger, glue the light felt on top and fold and crimp the base as you attach it to the headband. The makeup is the key. It's actually not very hard and you don't need a lot of fancy tools of products - I had just about everything in my makeup case already! I followed this tutorial and just edited it a little and simplified to remove the lower lashes and lighten up some of the use of black to my liking! I'm having so much fun with it all. What are you for wearing for halloween this year? !